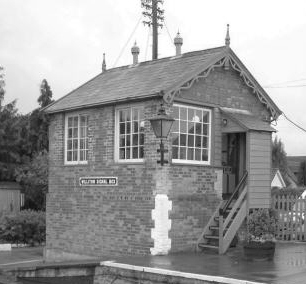 Williton Signal Box on 8 October 2005. ©(cc) Andy Spencer. 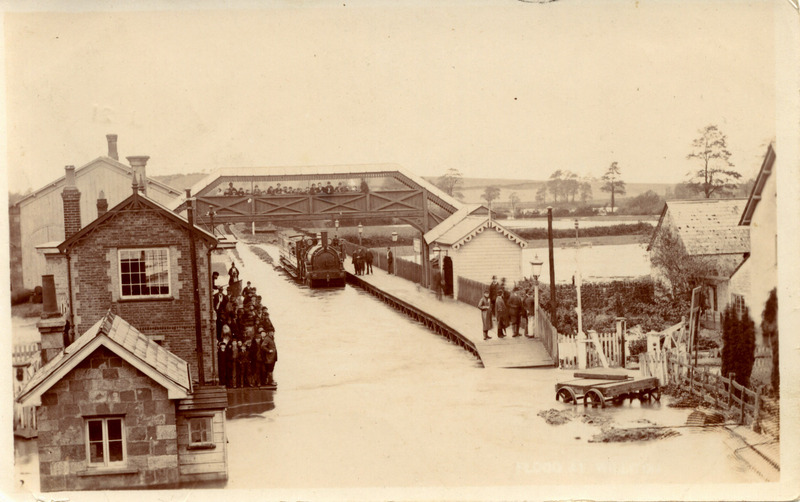 1883 A large brick built water tank was erected between the level crossing and the road bridge. Originally kept filled by means of a steam pump, the water was later extracted from the adjoining well by an electric pump. 1964 Withdrawal of freight traffic on 6 July1964. Passing loop shortened due to narrowing to single track of culvert crossing in March 1968. 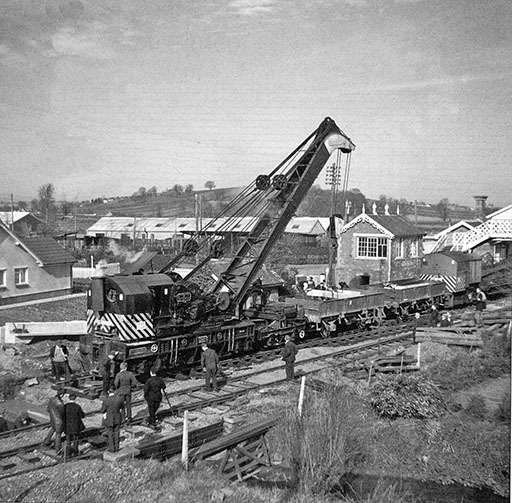 The Taunton steam crane is seen lifting the new concrete girders out of the low-sided wagons in which they were delivered for positioning. 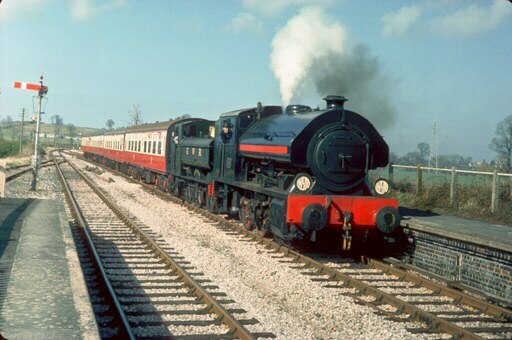 2884 Vulcan and ex GWR 6412 at Williton 1977 ©(cc) Copyright MEJ Deane, courtesy Ian Bennett. 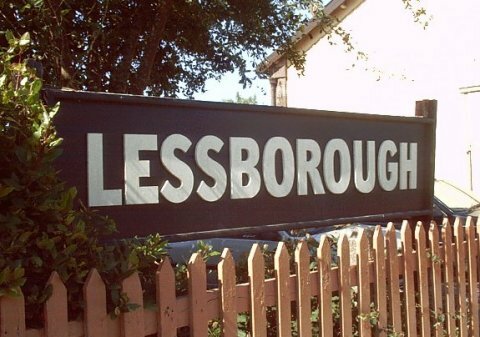 Williton Station masquerades as Lessborough during BBC filming of Anthony Trollope\'s \"He Knew He Was Right\" on 30 August. 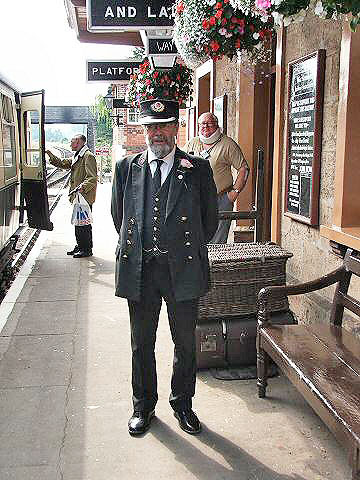 The Station Master Chris van den Arden appears briefly in the background of the finished production. No 6412 up in the air. 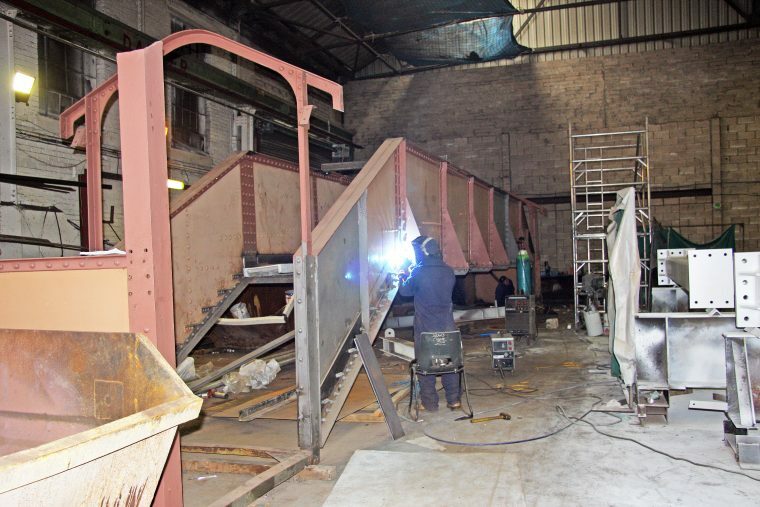 This was the first lift carried out at Williton by the four Matteson jacks rescued from Bristol Bath Road. The driving wheelset has been removed for attention to the axle boxes and valve eccentrics. 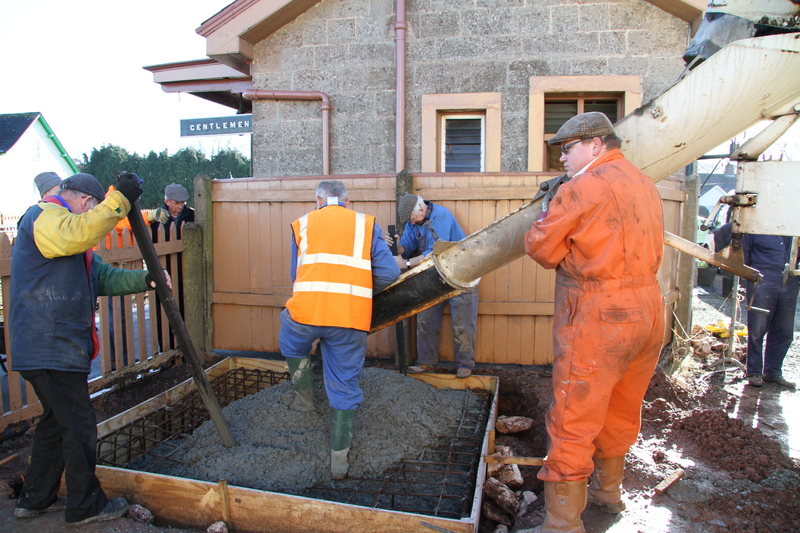 Pictured on 25 January 2005. 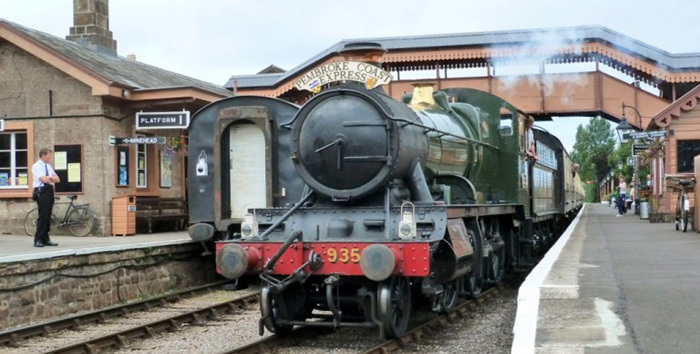 Williton Station Master Chris van den Arend on 18 August. ©(cc) Fotophile69. 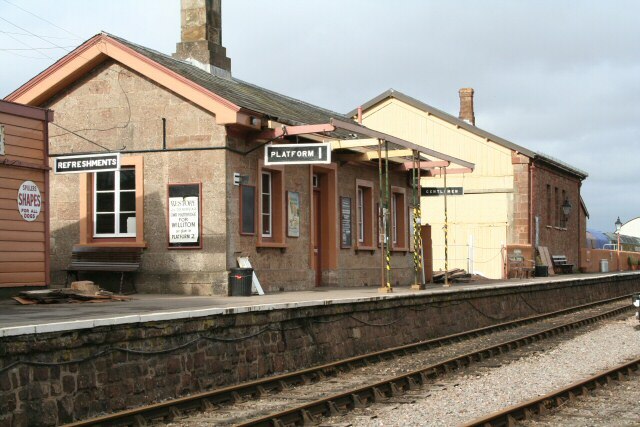 Sadly on 5 December Chris van den Arend, Williton Station Master passed away. 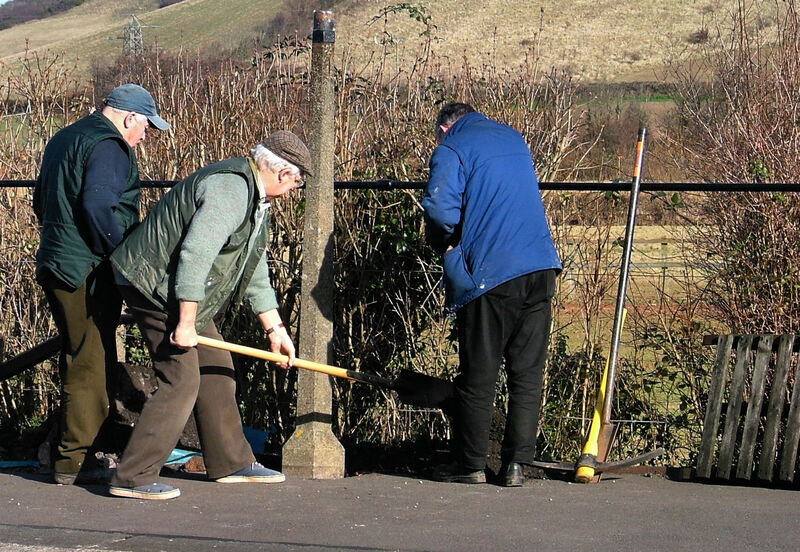 Chris was a volunteer with the West Somerset Railway from the early days and held many different positions on the railway. 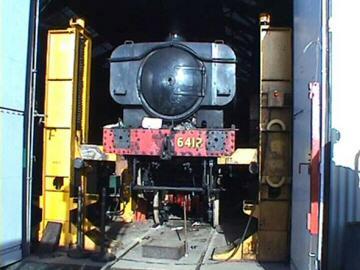 He was active also in the West Somerset Steam Railway Trust. 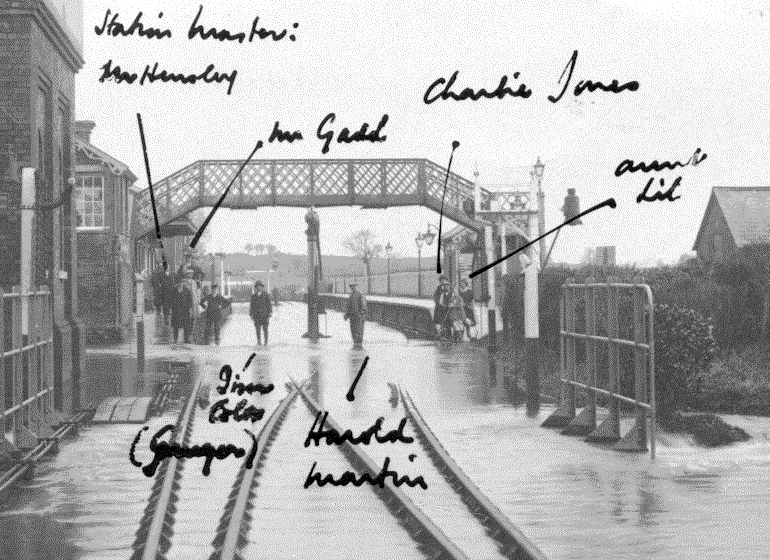 His dream was for the ex-Trowbridge footbridge to be erected at Williton Station. Unfortunately he will miss this when it takes place in 2011. 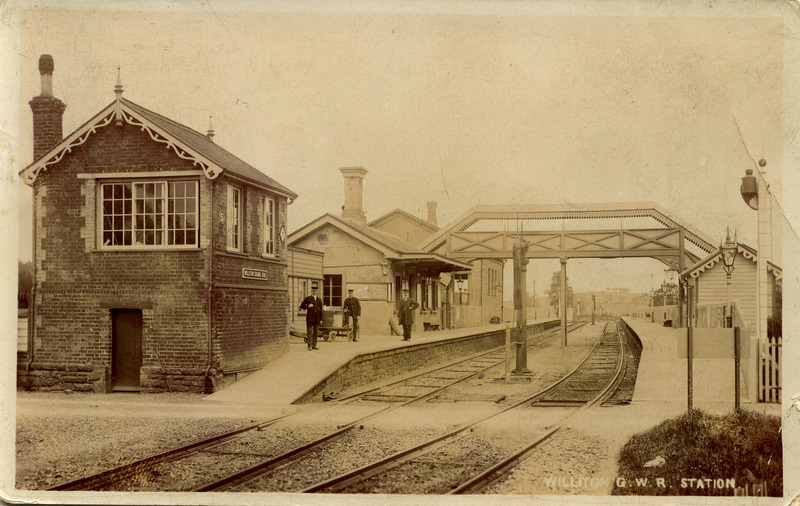 The rare sight of Williton Station without a full canopy. 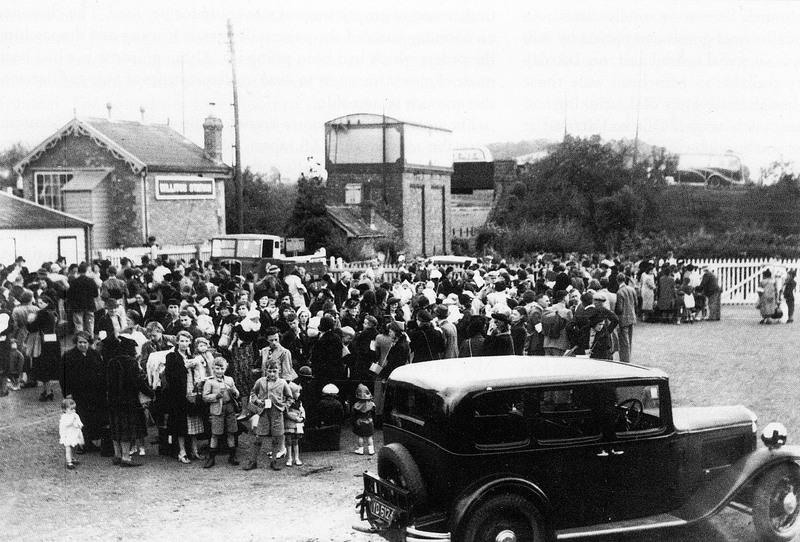 Recent discussions suggest it was last replaced in 1938. Seen here in early February 2011. 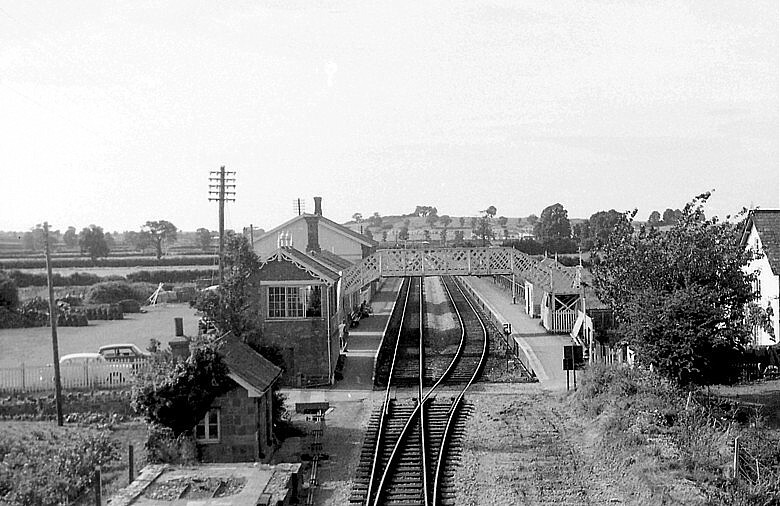 Williton Footbridge is Officially Opened on 16 July to the public by Gerald Creed who rescued the footbridge from Trowbridge station in 1982. 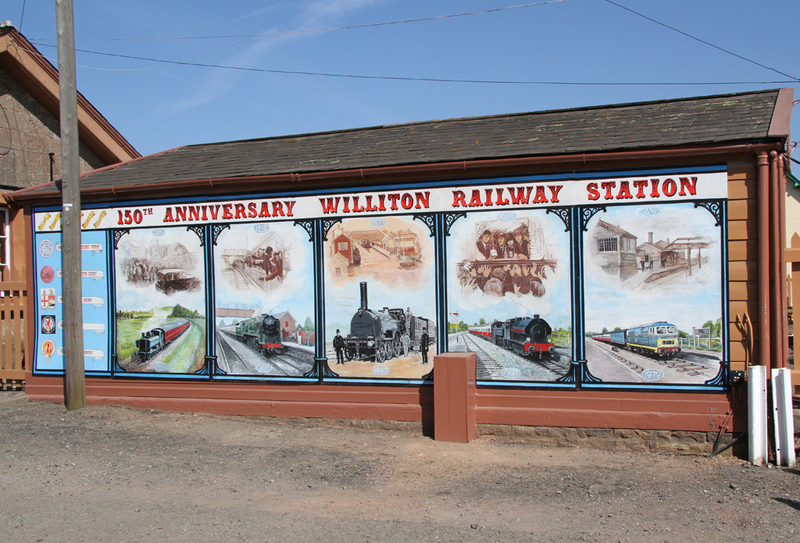 The Williton Station Mural to celebrate the 150th anniversary of the station. The mural was painted by Tad and Brenda Mandziej assisted by several local artists.